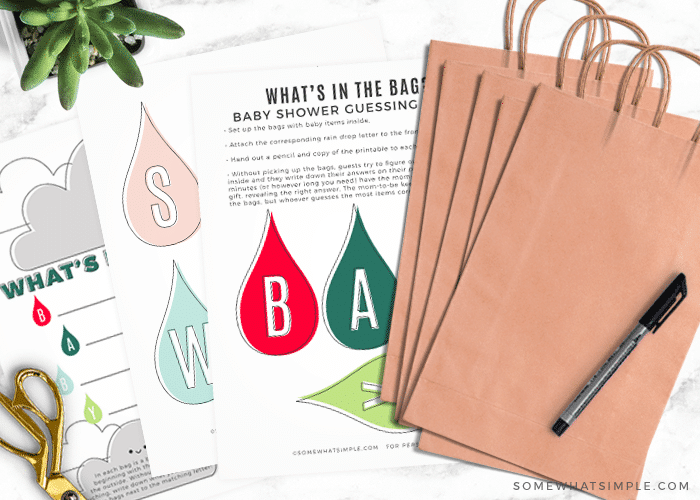 This simple baby shower game idea is fun to play, easy to put together and it’s super helpful for the mother-to-be! 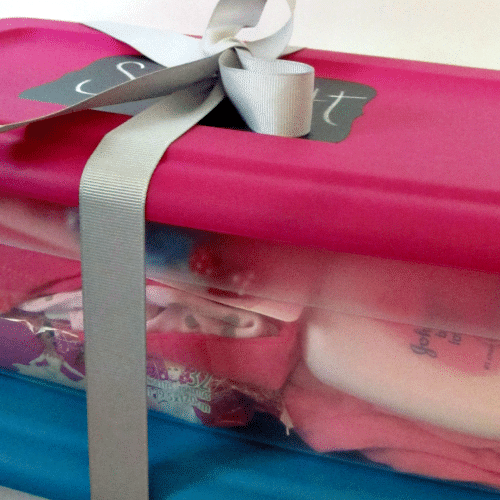 Fill bags with baby items that start with each letter and see if the mother-to-be can guess what’s inside. The game is fun to play, while providing needed baby items for the new mother. In addition to a fun game to play, baby showers have some of the best food to eat. Some of my favorites appetizers to serve are these Ham and Cream Cheese Roll Ups, Buffalo Chicken Dip or these Grape Jelly Meatballs. I am going to go on the record and say I am not a huge fan of baby shower games. (Whew! It feels good to get that off my chest!) BUT, every shower has them and most shower attendees expect to play something, right? So when a friend of mine was pregnant with her first little boy, we threw her a shower and decided to play a baby shower game that was easy and fun. 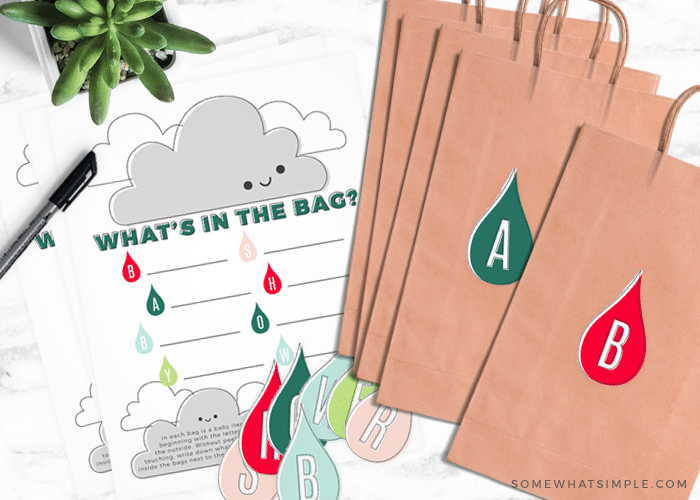 I came up with this unique baby shower game and called it, “Guess what’s in the bag”. This particular baby shower game is also very useful for the mom-to-be . Each bag is filled with different baby items that begin with the letters that spell out Baby Shower. 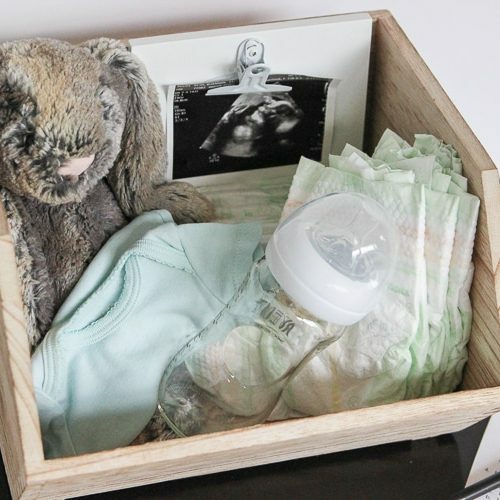 At the end, she gets to keep all of the “props”, which will definitely help her prepare for the arrival of her little one. Set up the bags with baby items inside. Hand out a pencil and copy of the printable. Without picking up the bags, guests try to figure out what could be inside and they write down their answers on their paper. After 5-10 minutes (or however long you need) have the mom-to-be open each gift, revealing the right answer. 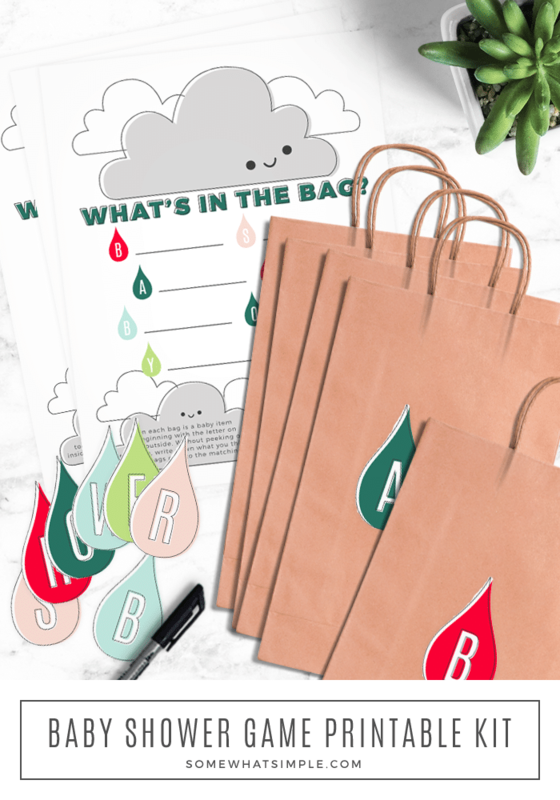 The mom-to-be keeps all the items in the bags, but whoever guesses the most items correctly wins the prize! 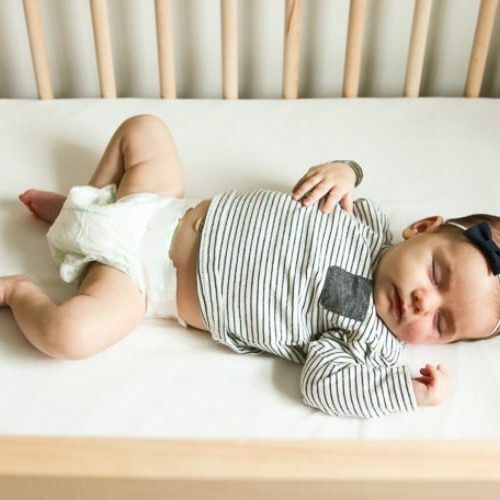 If you have any other ideas of baby items that start with these letters, please leave us a comment below and let us know. We’d love to include more options on our list! That is darling!!!!! I love that idea! This is very creative I like it ! For an after the baby is born shower, instead of ‘baby shower’ you could spell out first and middle name and find those items. That is SUCH a fun idea! I like it better than BABY SHOWER, actually! Thanks for the suggestion! Love it! Thanks for adding your ideas Becky!